This recipe for watermelon rind preserves is a favorite among Serbians, who call it slatko lubenice. 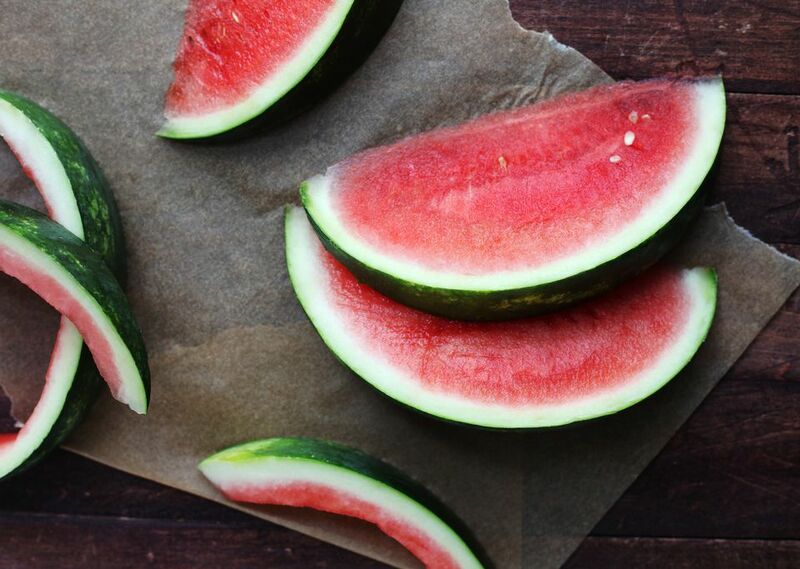 Only the white rind of the watermelon is used. A good slatko (preserve) should contain whole chunks of fruit, so don't cook this to a mushy consistency. Place watermelon rind cubes in a large saucepan. Cover with cold water and bring to a boil, remove any scum that rises to the surface. Reduce heat and simmer until rind is al dente. Drain well in a colander. Place sugar in the same large saucepan and cover with cold water. Cook syrup over medium-low heat until it is the consistency of thin honey. This may take some time. Lower the fruit carefully into the syrup and add the vanilla beans and sliced lemons. Cook gently until the watermelon rind is quite soft, about 20 minutes. Remove vanilla and lemon. Ladle into hot, sterilized jars, making sure rind is covered with syrup. Seal with hot, sterilized two-piece lids. Store cooled jars in a cool, dark place.